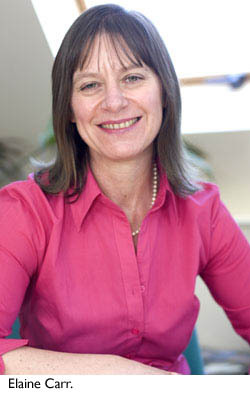 Local businesswoman Elaine Carr has recently taken over the franchise for The Best of Haverhill. Operating in 350 towns across the UK 'the Best of' is designed to provide the ultimate guide to a local area. Elaine has lived in Haverhill for ten years and has worked with businesses in the town with her marketing consultancy, FlipFlop Marketing, for over eight years. When Elaine discovered that the franchise for The Best of Haverhill was for sale she thought it was an opportunity too good to miss. There will be monthly business meetings, It’s Thursday – with The Best of Haverhill, taking place on the third Thursday of the month at The Days Inn, Haverhill. These meeting are free events and provide an opportunity for local businesses to get together in a relaxed and informal environment. The theme of the first event, which takes place on Thursday, April 15, will be Wanting The Best For Haverhill. The West Suffolk prospective parliamentary candidates for the three main political parties - Labour, Conservatives and Liberal Democrats - have been invited to deliver a five-minute manifesto for Haverhill businesses, followed by a brief question and answer session. All three candidates have accepted the invitation - Matthew Hancock the PPC for the Conservatives, Dr Belinda Brooks-Gordon the PPC for the Liberal Democrats and Ohid Ahmed, PPC for Labour. If a local business would like to attend the event they should contact Elaine by email at haverhill@thebestof.co.uk. During April, the Best of Haverhill will launch a Buy Local campaign, which is part of an initiative being run nationally by ‘the Best of’ to encourage local people to support and use local businesses in their town. Elaine comments, “Every town has issues and concerns about economic development. I think sometimes we forget that the problems we face in Haverhill are not unique to Haverhill. "Across the country independent business owners have to deal with the same challenges – whether it is pedestrian access, availability of free parking, the variety of shops in the High Street – the list goes on. 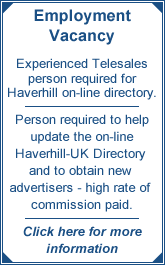 "Part of the Buy Local campaign will be an online survey on The Best of Haverhill website. This three-minute survey will aim to establish what it is in Haverhill that currently hinders people buying locally. The survey called ‘Where do you shop and what’s the state of your local high street?’ will be available at www.thebestof.co.uk/haverhill in the first week of April. Completing the survey also entitles entry into a Prize Draw to win £500 to spend with any ‘the Best of’ business. If you would like to find about more about The Best of Haverhill visit www.thebestof.co.uk/haverhill, call Elaine Carr on 01440 710 158 or email Haverhill@thebestof.co.uk.